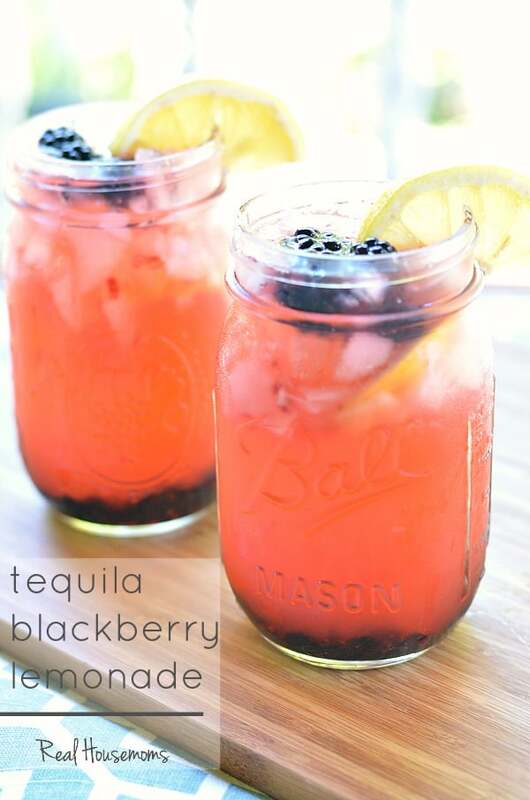 Tequila Blackberry Lemonade is the perfect drink for relaxing during the summer. You can make a lot ahead of time and put them in mason jars for your friends to grab at your next barbecue! 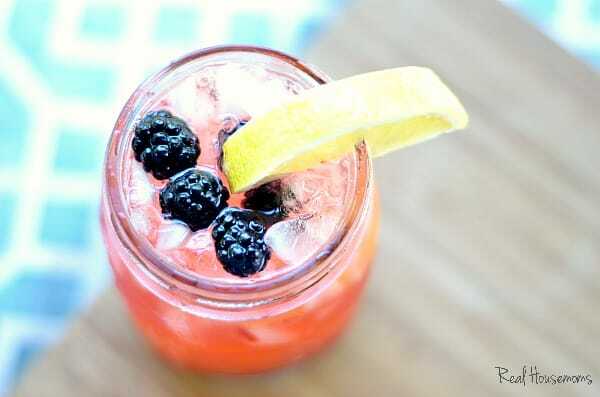 This Tequila Blackberry Lemonade is the best, most refreshing drink I’ve had all summer. Here’s why I love it; it’s made with fresh fruit growing by my house, there are only really three ingredients, and I can make it ahead in a bunch of mason jars to serve to friends the next time we have them over! You can just mix all the ingredients together minus the ice and screw on the lid. Then just keep them in the cooler or in an ice bucket next to some lemon slices and a bowl of blackberries. They can fill their glass with ice, garnish and they’re set! I’m telling you this is a must make before the summer ends.